SCARY-O-METER: 30″ x 22″ Illustration print on paper. Why are people in the Americas afraid of Black dudes? I mean no one admits it cuz that would be racist, and being a racist is soooo last season. 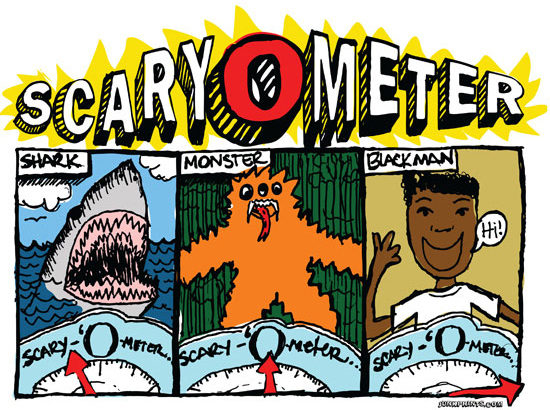 My doodle mania got the best of me and I came up with the scary’o’meter…you know, a good way to manage social fear.